Linda G Hill is a supportive and inspirational blogger who is always happy to offer advice and guidance to other writers, so it’s only fair that I reblog this post for her. 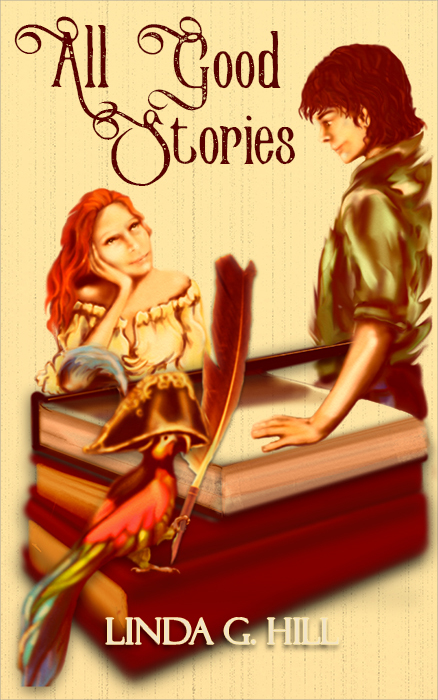 I shall no doubt be dropping some none too subtle hints about my published work in the lead up to the annual gift buying season, but for now, please find the time (and your spare change) to order a copy of Linda’s first novella, All Good Stories. Thank you. “Approbation” – The trial period for new mobile phone software. The extremely wonderful Linda G Hill is about to publish her first work and I can’t think of anyone who has been more instrumental in nudging me in the direction of writing fiction than Linda, so I’m glad to present her introductory post here. Congratulations, Linda, I wish you every success. “Discontent” – Losing one’s frisbee whilst camping. Posted by dalecooper57 on July 20, 2016 in Blogging, Guest spots., Humour, One liner Wednesday, The write stuff. “Microscope” – An optical instrument I use for watching the Corvid family.